In June 2003, I received an impassioned e-mail from a Mongolian woman, Selenge Tserendash, who wanted to help needy women in her country where unemployment is high and alcoholism is rampant. She was opening the New Way Life NGO Mongolian Quilting Center and asked for volunteers to go and teach quilting in Mongolia. I responded to her request for help, beginning a wonderful bond between us. 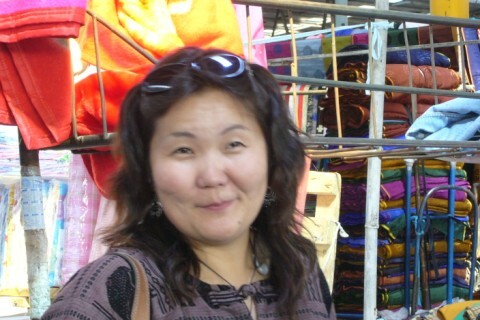 Selenge's goal was to purchase a permanent Community Center where the Mongolian women could meet for quilting and other crafts,take quilting classes, and run a shop to sell their products. 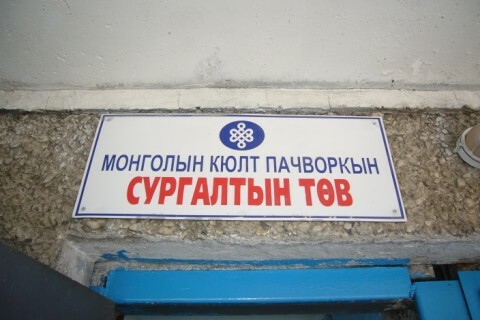 We achieved this in 2008 and the Mongolian Quilting Center now has a permanent home. 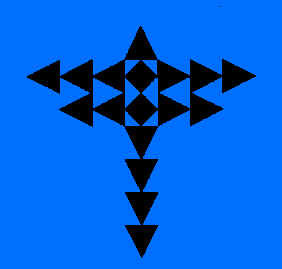 The next challenge will be to expand the already overcrowded space. To give a tax-deductible donation to help with operating and maintenance costs or the expansion, click here. 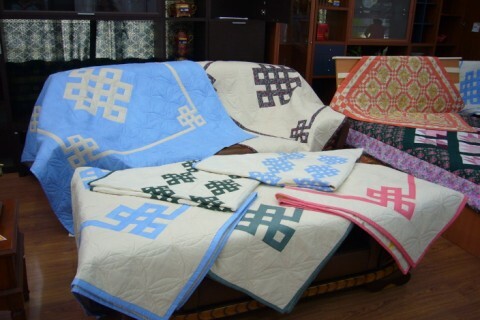 Quilting is a new activity in Mongolia. The women are eager to learn, already have sound sewing skills, and own ancient, but usable hand-cranked sewing machines. They have fabric scraps and clothing to recycle, so may easily begin quilting without any additional expense. The New Way Life (NWL) organization aims to give a new service to poor people in Mongolia, teaching them patchwork and quilting, and providing a center for this activity. Unemployed women may contribute to their family income by working at the Center or at home. The target groups are poor, unemployed, single, and widowed women, disabled women, orphanage children and children with special needs. NWL teachers also visit the Provinces to teach quilting to rural Mongolians. Click here to read about my experiences in 2004 teaching Mongolian women to quilt, in 2006 helping to organize the First International Quilt Exhibition in Mongolia, 2009 returning to teach and visit the new Mongolian Quilting Center, and annual updates. Check out the pictures of these quilting activities and our travels. To volunteer to go to Mongolia to teach quilting and help at the Center, or to purchase quilts made by Mongolian women please contact me by e-mail: maggie.quilter@gmail.com, or contact Selenge Tserendash in Mongolia: selenge_ts@yahoo.com. Quilters Anonymous, Kitsap Quilters Guild, Bainbridge Island Quilters, West Sound Quilters, Comforters Quilt Guild, and Issaquah Quilters. Overseas organizations - UNIFEM TAMA Japan, Reed Japan, Deutschland Development Agency, and the International Women's Association in Mongolia.